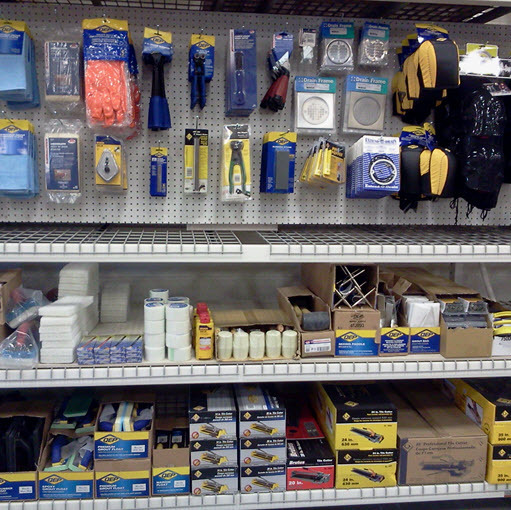 If you're planning any kind of tile installation project, chances are you will need an assortment of tools and products to complete the job. 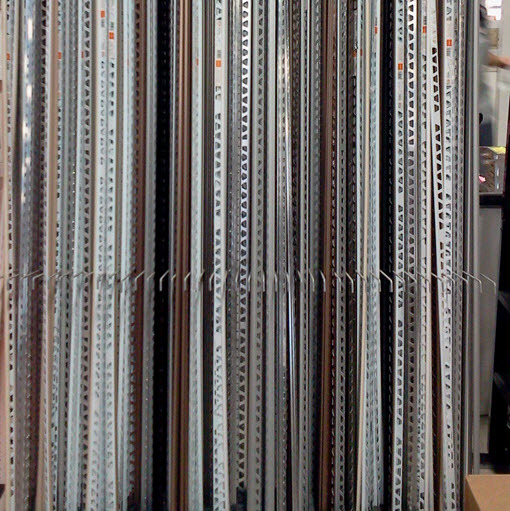 Luckily, when you visit Tile & More Warehouse, not only will you find tile, stone, mosaics and cabinetry, but you'll also find all of the materials needed to transform those products into magnificent kitchens, beautiful bathrooms and stunning floors. 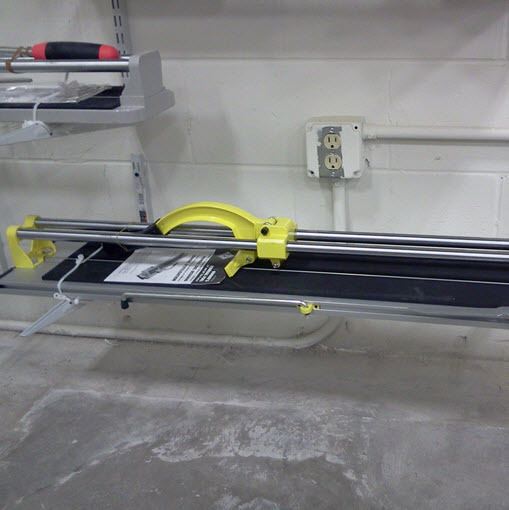 In this section, we'll provide you with a visual overview of what to expect from a tools and materials perspective at Tile & More Warehouse. 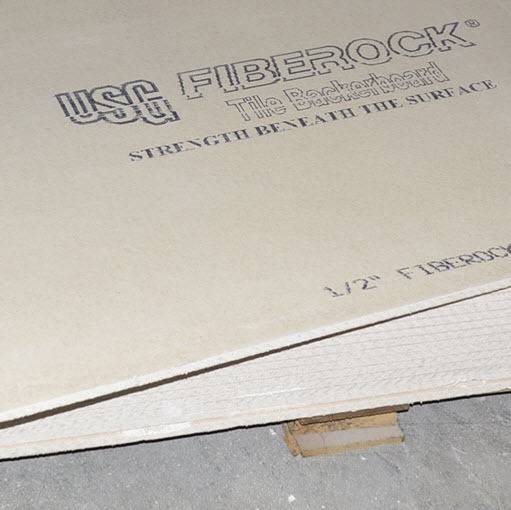 Available are Durock NextGen, Fiberock Aqua-Tough, Schluter KERDI cement boards and more. 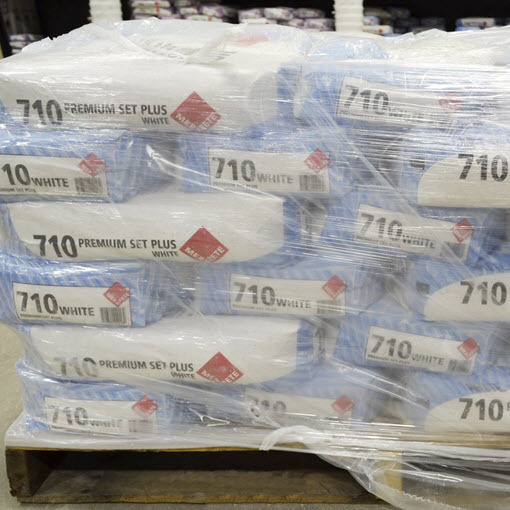 You'll find underlayment and waterproofing materials from Mark E. Industries, Merkrete, NAC Products, Noble, Parex USA, Schluter and more. 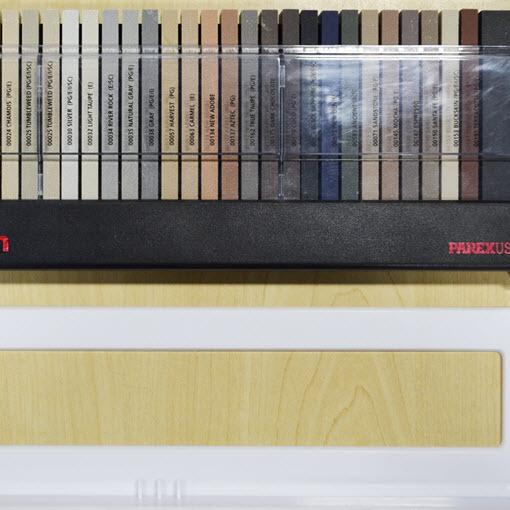 Grout colorants from Aqua Mix and Merkrete. Available from Latex, ME, Merkrete, Integra, Schluter and Quikrete. 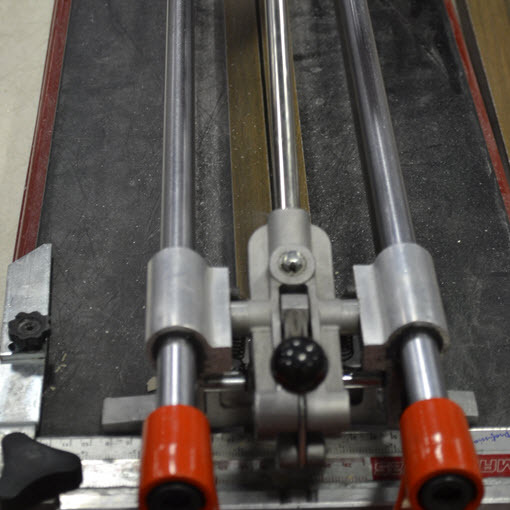 Ideal for getting the right consistency for your mortar and thinset. 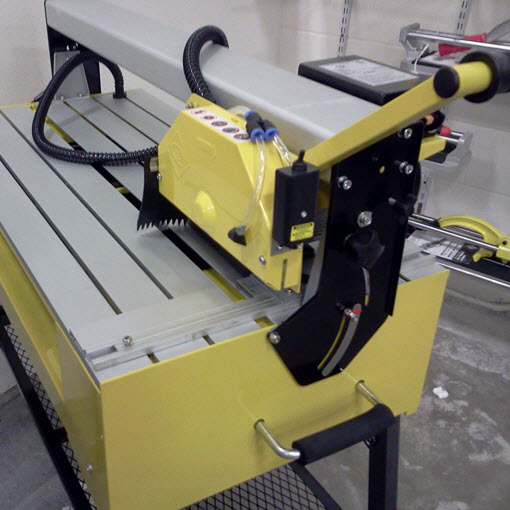 You'll find a full selection of trowels - from margin trowels, notched trowels and more. 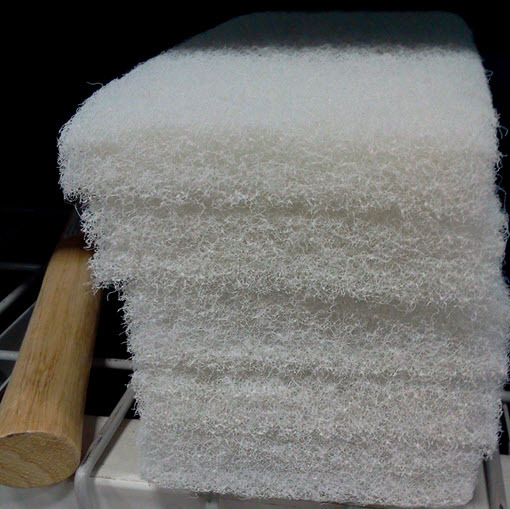 We carry replacement scrub pads - medium and fine - as well as scrub floats with pads and rubber mallets. 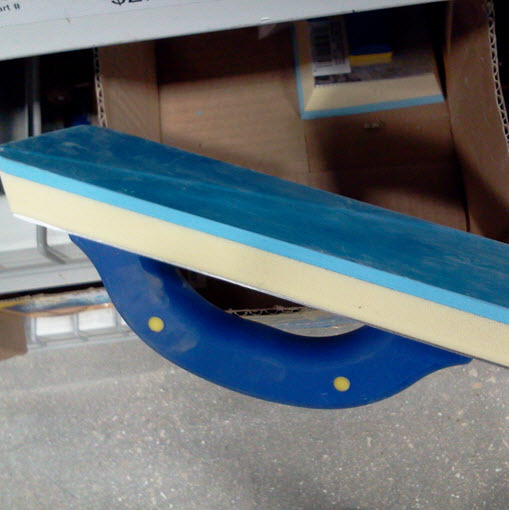 Floats are important for tile installation projects. 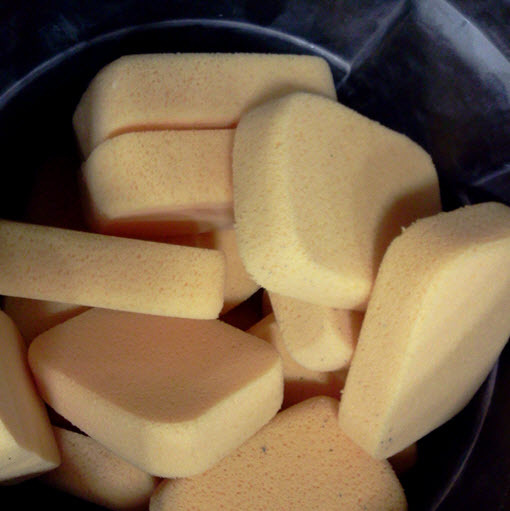 You'll definitely need a few sponges. Aqua Mix and Tile Doctor products for grout sealing, cleaning and problem solving. 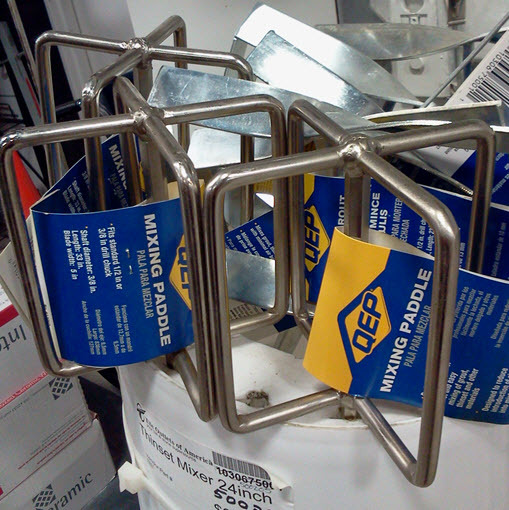 Find the right edge protection at Tile Outlets of America. 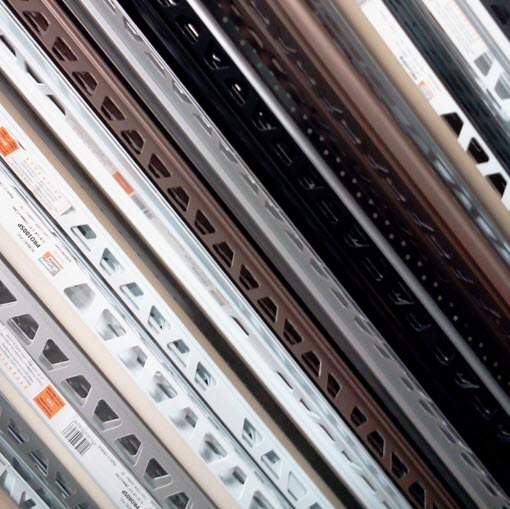 Find the right metal transition profile. 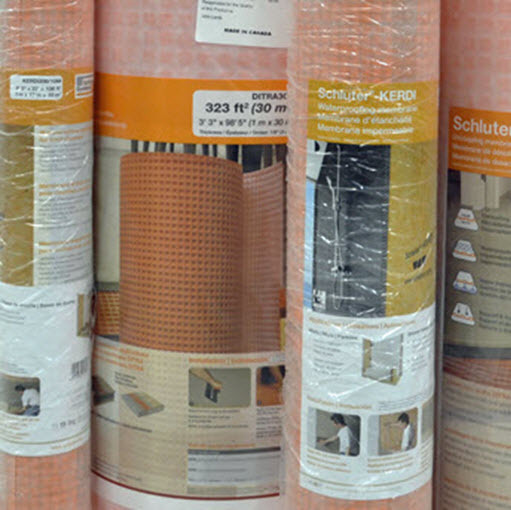 Products from Schluter. 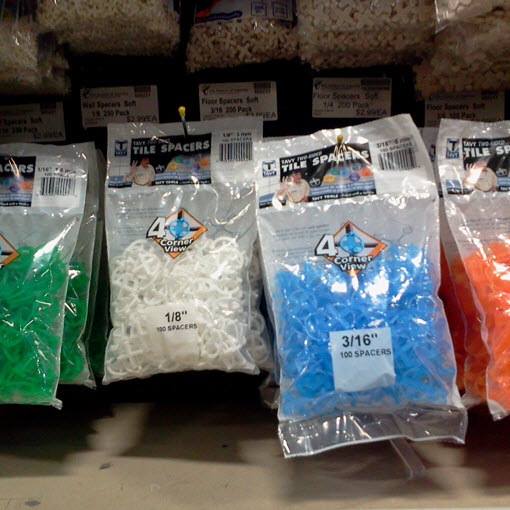 You'll find a wide assortment of spacers to use for your tile installation project. 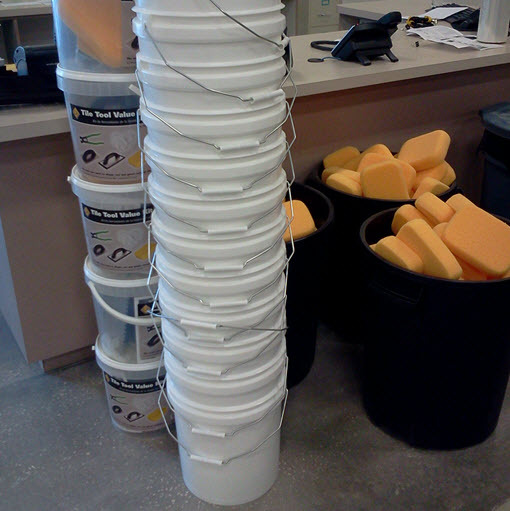 You'll find plenty of 5 gallon buckets and even tile installation bucket kits. 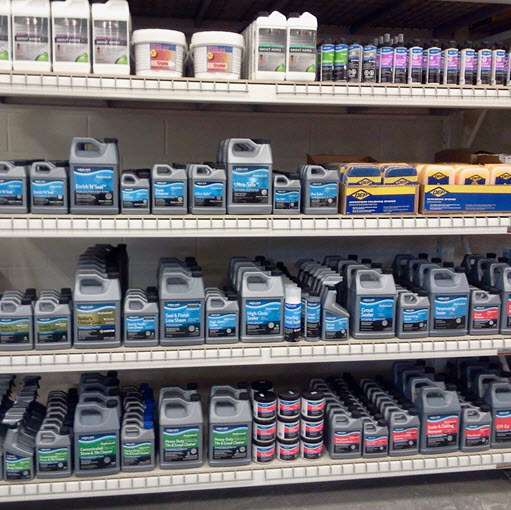 From chalk and markers to tile leveling systems, knee pads and more. 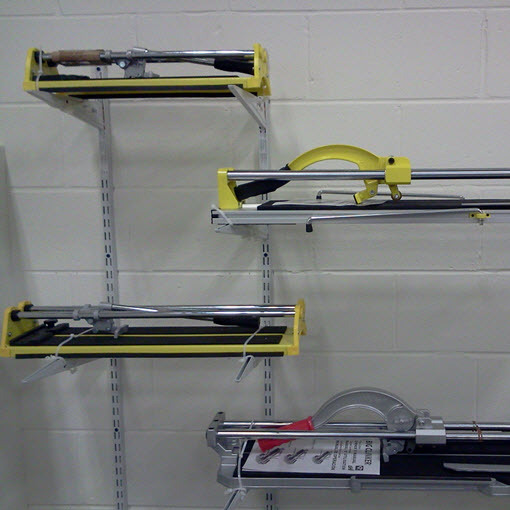 And several other tile cutters you'll find available. 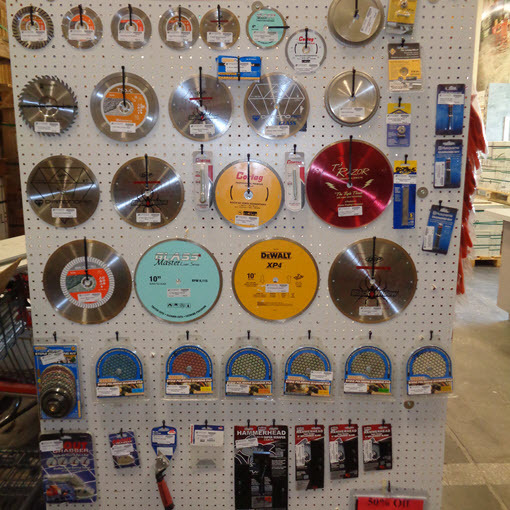 You'll find a wide range of tile saw blades from Dewalt, Cortag, Husqvarna, Marshalltown and QEP Inc. to work with the cutters available. 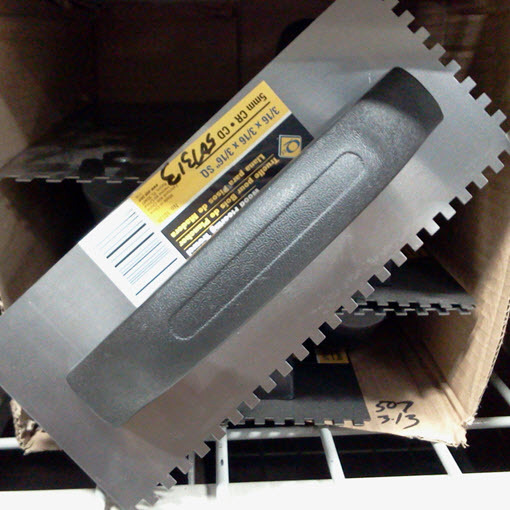 We carry tile saws from DeWalt, Husqvarna, Marshalltown, QEP Inc. and Cortag. Portable tile cutters make cutting mosaics easy and installing beautiful backsplashes that much more efficient.